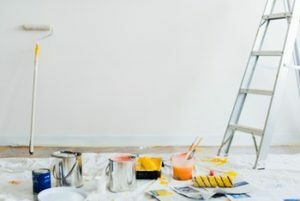 If you’re one of the regional homeowners counting the days before Boise’s popular selling season starts, you may be considering what remodeling jobs would be sensible to perform. The answers are not straightforward. Most importantly, you want to make sure no areas of the home detract from its overall worth. You also want to identify which of these jobs will return your investment with the home sale. While this seems obvious, it’s surprising how many people decide to throw huge sums of money into a house that they will only live in for under a year. 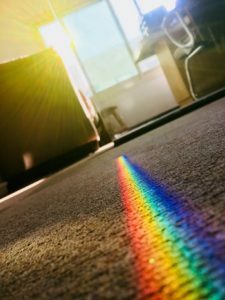 Why buy expensive whole-house new flooring if the anticipated resale value is significantly less than that? Experienced real estate agents can counsel you concerning the cost vs. value angle of your home remodels. Brutally calculate the cost of the remodels and repairs against the higher sale price you expect to gain from them. Never spend more on remodels than you can redeem. The most essential areas in the home are the kitchen and bathrooms. With these areas, it’s okay if your remodel allows you to only break even, because sometimes without these remodels, the home will take a much longer time to sell, or you might get lower offers on it. Failing to touch-up these areas could cause prospective buyers to turn on their heels and walk out the door. 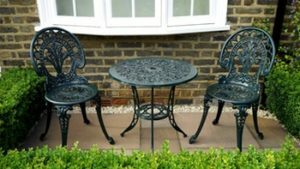 Even if the rest of your home is in reasonable condition, one grody area might drag down impression the rest of the house. 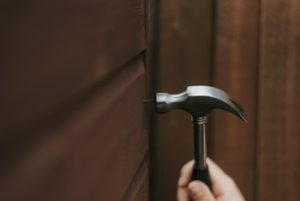 Realtors often advise clients to take care of minor issues, with the understanding that the repairs only serve to encourage the sale of the of the whole home. Within the kitchen and bathrooms, countertops are highly visible. So, if you opt for any type of expensive rip-and-replace work within your kitchen or bathroom, this is the area. Their cabinets are also highly visible since they’re at eye level. Replacing kitchen cabinets is expensive, and can therefore make it difficult to break even on your remodeling expenses from selling your home. If possible, just paint or resurface them. But if your kitchen cabinets are in pretty bad shape, you have very little choice but to install new ones. Minor areas such as media rooms, home theaters, offices, basements, attics, decks, extensive backyard work, and garages can be forgiven because their appearance can be easily improved by simple interior design—and they’re simply not as important or as noticeable to buyers. But a disastrous kitchen or bathroom consistently calls attention to itself and may turn the sale in one direction or another. If you hire a remodeling contractor, you invest money on two things: materials and labor. Taking on any home remodel project on your own means cutting out the labor piece of that price. If you decide to do the touch-ups yourself, make sure to give yourself plenty of time to complete them so you’re not at risk of failing to complete projects in time to put the home on the market. Instead of replacing your existing hardwood, consider refurbishing your home’s hardwood by sanding and finishing it. And instead of giving the buyer all-new windows, research the possibility of replacing only the window sash. 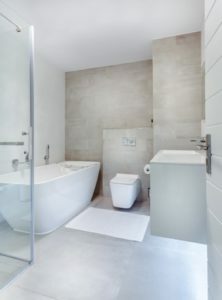 Rather than giving the next homeowner a new bathtub, consider refinishing your current tub. Materials almost always cost more than fixes. Just research all of your options so you can make the wisest decisions. When remodeling for sale, the most rewarding remodels are the ones that look good. It’s better to invest in paint or flooring rather than a water heater that still functions, because the appearance of your home will leave the initial and lasting impression on potential buyers. They will more easily accept technical flaws (like a weak water heater) over visual defects (like worn carpet or faded paint). A new water heater won’t impress anyone, so as long as it’s safe and functional, keep it. If a house inspector says that the water heater must be replaced, that’s the time to discuss replacing it. But appearance is not negotiable. Click here to see what home styles buyers are looking for in 2019. New paint, especially well-chosen contemporary colors, will transform a home. Be cautious of dramatic shades that darken the home. Cheerful, brighter colors create more ambient light, and this is especially important in small rooms or rooms with few windows. A little paint can go a long way, so before making a big dramatic change, see what a freshcoat of paint can do. 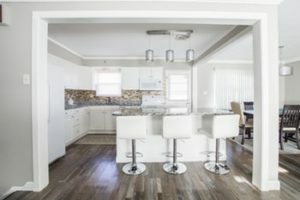 Home remodels done to make the house more attractive to buyers don’t necessarily need to align with your own unique styles. You want to appeal to a broader variety of buyers. You might have an attachment to 1990 home styles, but not everyone else wants this style for their home. You want it to be easy for visitors to picture themselves and their own style in the home. Modern styles will also look better on social media and other advertising platforms, since the pictures are the first impression that people will have of your home. If they’re not impressed by the pictures, they won’t want to come for an open house. Selling your Boise home for your desired profit is dependent upon advertising and demonstration factors. But more importantly, everything starts with the worth of the”product” being sold. Click here for more tips on selling your Boise home to get the most out of the exchange.